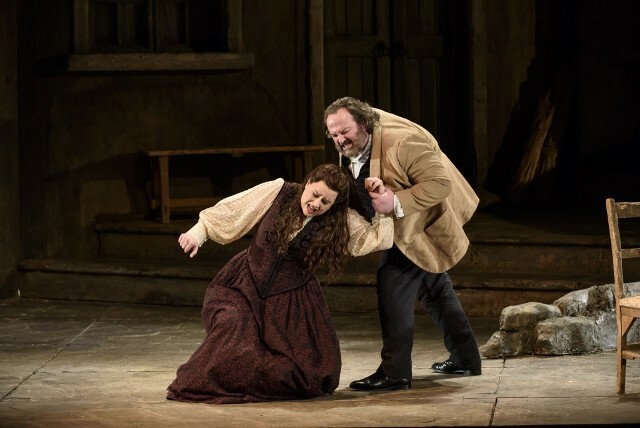 The Welsh National Opera (WNO) took the audience back, way back, to its beginnings with this pair of short well-loved classic operas that highlight some of the best aspects of the genre. 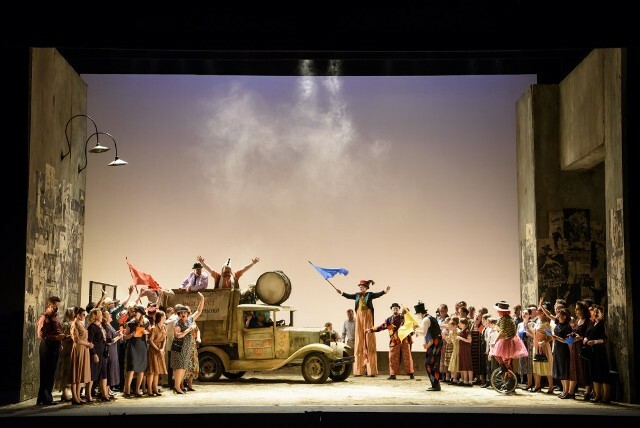 It was Cavalleria rusticana and Pagliacci that started it all off for the WNO 70 years ago and as a poignant reminder on its platinum anniversary, it was Cav & Pav (as they are sentimentally known) that took centre stage at Birmingham Hippodrome. 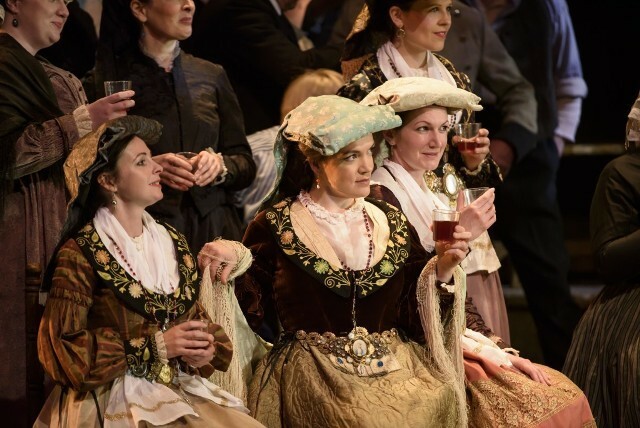 Using the same cast of singers across both operas, the night opened with the Italian opera Cavalleria rusticana by Mascagni and a production that was first shown for the WNO's 50th anniversary, 20 years ago. It's actually the orchestra that steal many of the scenes in this tragedy about a lover scorned in a small Sicilian village. Starting off slowly, there was a very gradual ease into the drama with much of the early singing taking place off stage as the audience watched a slow sunrise over the hills. It may not be the most dramatic of starts, but the music is divine. The set is glorious too and recreated perfectly a winding sleepy alleyway in the corner of an Italian village celebrating Easter by hanging garlands and drinking vino tinto in the local bar. Here we find betrayed peasant girl Santuzza, played by an excellent Camilla Roberts, who confronts her boyfriend Turiddu for having it off with his married ex-girlfriend Lola. Angry and upset at being dumped and made an outcast by society, she takes revenge by spilling the beans to Lola's husband, which sets Turiddu on a doomed path. The choral and orchestral work in Cavalleria rusticana is the real highlight to savour and there are some dreamy instantly recognisable pieces, like the Easter Hymn and Intermezzo, used in films like Raging Bull. The WNO Chorus really came into its own and impressed. Welsh tenor Gwyn Hughes Jones was supposed to play the lead roles of Turiddo (and also Canio in Pagliacci) but had to pull out due to an injury before the Birmingham Hippodrome performance on June 9. Peter Auty, who has sung for Opera North, ENO and Malmo Opera, was drafted in at the last minute but his voice was a complete delight. You would never have thought he was the stand-in. Moving on after the interval to Pagliacci, it's yet more adultery but this opera is far more passionate with an emphasis on individual performances more so than the chorus. Set among a troupe of travelling players as they roll into town, we find clown Canio (Peter Auty again standing in, in tremendous fashion) discovering that his wife Nedda is having an affair and ends up seeking revenge during a live show in the most extreme way. 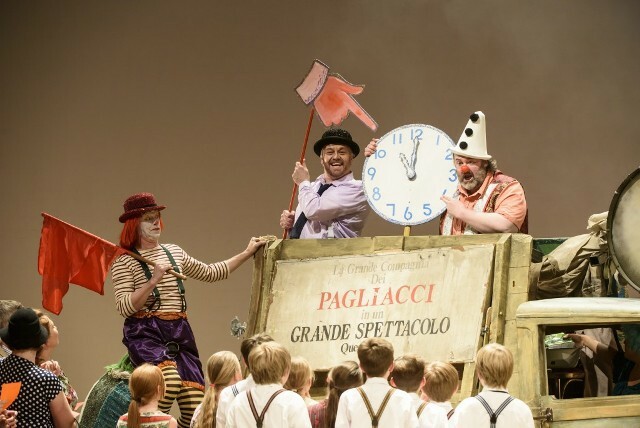 Pagliacci features one of the greatest of all tenor arias, Vesti la giubba, and it really moved the audience. Meeta Raval as Canio's unfaithful wife Nedda had a wonderful flirtatious charisma about her as well as a stunning voice and her scenes with her lover were mesmerising. 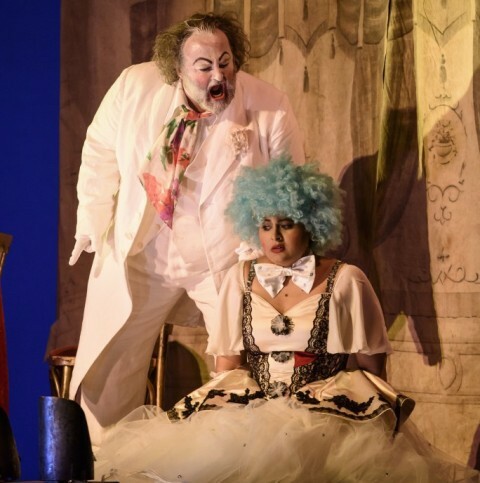 As one of the most well known operas, Pagliacci has touched generations and was the inspiration behind the pop song Tears of a Clown and has spawned many other related creations based on this gloomy tale. This WNO production was created in 1996 and has a modern vibrancy about it. The simple set of Italian street posters and a van being transformed into a stage with a string of coloured lightbulbs at night is hugely effective. The costumes are fabulous combining zany and classic with a 1950s air about them. Nedda wears a bright blue clowns wig but still carries off the femme fatale look. Pagliacci is the famous opera with the clown. Out of the two operas, I'd say this was the stronger production on the night with a greater intensity; but the two complemented each other, highlighting the different aspects of what makes opera so intoxicating. 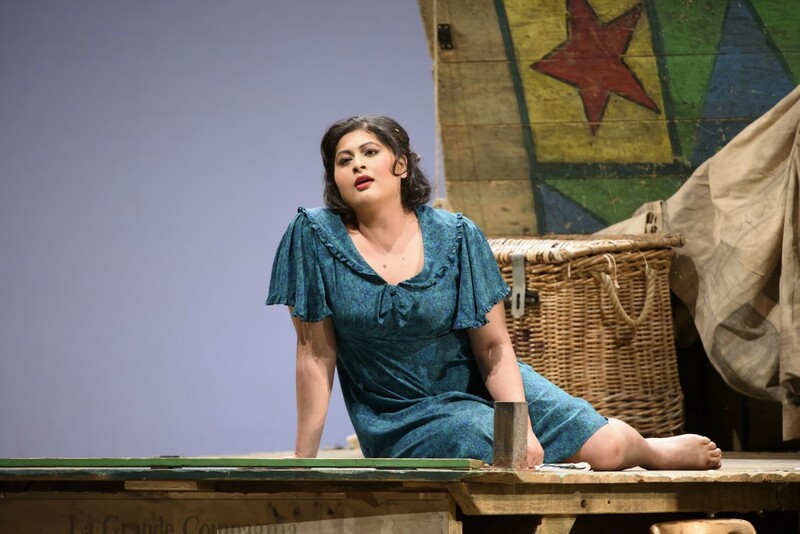 Cav and Pag - sung in Italian with subtitles in English - are a great introduction to opera beginners as they are easy to follow, have recognisable music and fill the auditorium with blasts of powerful yet emotional vocals that are sure to impress. Seven decades on and the WNO showed that it could give a nod to its past while still moving forward. It's a total crowd-pleaser. The WNO is also performing In Parenthesis on June 10 at Birmingham Hippodrome. Tickets cost from £16.50 by calling 0844 338 5000 or visiting the Birmingham Hippodrome website. For further tour dates, see the Welsh National Opera website.